Rome and Paris in one trip! That’s hitting Europe on a grand scale. The romantic cities of Rome and Paris, the Eternal City and the City of Light, are two of Europe’s hot spots. They are rich in travel experiences but they can also be expensive, busy, and overwhelming. In this post I want to give you my best advice on both cities plus your many options for travel between the two. I have been to both Rome and Paris a number of times. On my most recent trip I went with Monograms Travel, a company that takes care of all the logistics and some of the planning for you. You can read what that experience was like in this post as well. But first, here’s what you need to know to do these two great cities in one trip, completely solo. The Pantheon is on the left. It’s an extraordinary building. It was an engineering feat when it was built in 27 BCE and it is so today. On the right is the Trevi Fountain. Go very early to try to avoid the crowds. 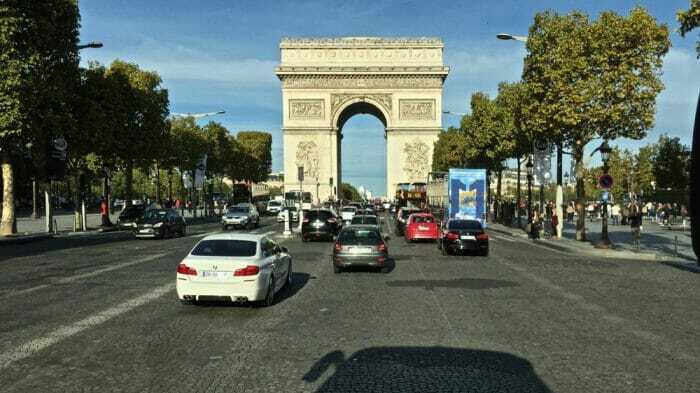 Given that Paris and Rome are top destinations in Europe, they will be less busy and somewhat less expensive if you go during the shoulder season. This means April and May or late September to early November. Crowds. The earlier you go in the spring and the later you go in the fall, the less crowded both cities will be with other tourists. In Rome, average daytime temperatures are 68°F in April and 75°F in May, 73°F in October and 64°F in November. 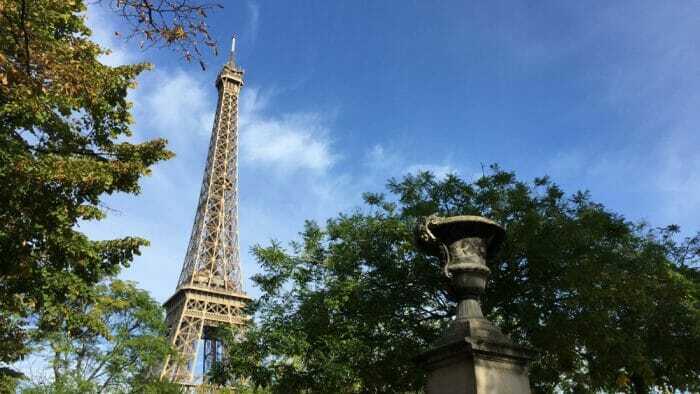 In Paris, average daytime temperatures are 61°F in April and 68°F in May, 61°F in October and 52°F in November. Hours of daylight. Spring is a bit better than fall. The later you go in the spring and the earlier you go in the fall, the more daylight you will find. April and May in Rome will give you 12 and 13 hours of daylight respectively. Late September to early November will give you 12 to 10 1/2 hours of daylight respectively. 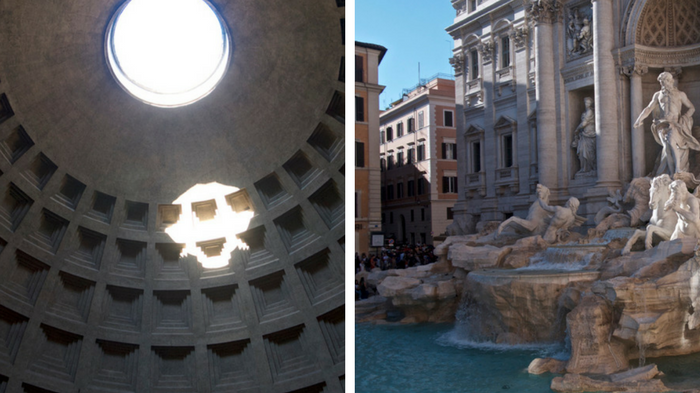 Which City First: Rome or Paris? Sometimes travel itineraries are affected by how easy the destinations are to navigate, how interesting each destination is, or how familiar the food is as sometimes people want to ease into new tastes. But Paris and Rome are not affected by these factors. They are well set for tourists, both are fascinating, and the food, well, it’s incomparably delicious and familiar. So which city should you go to first? Here are my thoughts. Historical relevance. Given that the ancient sites of Rome were built in what is called the classical architectural style and that much of Paris was redeveloped by Haussmann between 1850 and 1870 in the neoclassical style, I would go to Rome first and then Paris. Weather. If you’re spending long periods of time in each city, weather might make a difference. If going in spring, I’d go to Rome first and then Paris but if traveling in fall, I’d go to Paris first and then Rome. However, given that most people will do the two cities in a week or two, it’s actually not possible to predict which will offer better weather. Whichever city you go to first, here’s a basic itinerary. It’s based on one week and my basic principle that you can’t spend less than three nights in any location on a trip. If you have more time, spend it. There is so much to enjoy in both these cities beyond the major sights. Settle in. Relax and enjoy what the locals do. Day 1 – Arrive in first city. You’ll have a half day to get oriented. Perhaps take an overview tour of the city. Days 2, 3 – This will give you two full days to explore. Day 4 – Travel to the other city during the day (see below). Half day to get oriented. Day 5, 6 – Two full days to explore the city. 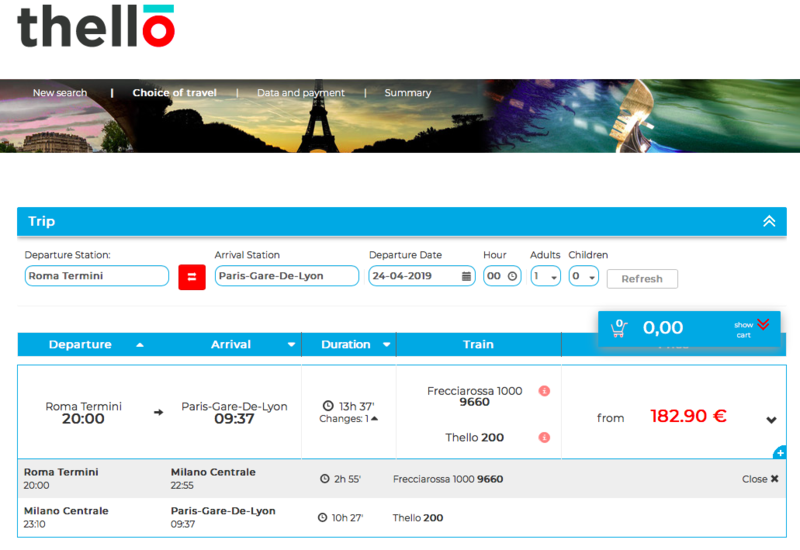 Thello is a train company that specializes in travel between Italy and France. There are 1,400 km between Paris and Rome. That’s approximately 14 hours of driving. While it’s a pretty spectacular drive, if you don’t have much time on your trip, there are better options to get between the two cities. Overnight train. Thello overnight trains run between Paris and Rome in both directions and will get you to your destination at around 9:00 am. They go from city center to city center and save you the price of one night in a hotel. The basic fare is about €200, however, you can upgrade or downgrade using the drop-down arrow beside the price (see image above). For example, for €117 you could go between the two cities in a regular seat between Milan and Rome but in a couchette for 6 women for the overnight portion between Milan and Paris. You could also upgrade to a private cabin between Paris and Milan and pay a total of €350. It’s your choice. Daytime train. If you’d rather give up a day in either city and see the countryside between Rome and Paris, which is spectacular, you can take a daytime train. Unlike North America that has Amtrak and Via Rail, Europe has many, many train companies. RailEurope is one site that works with all the train companies serving Europe and coordinates between them. Flights. There are many flights daily between Paris and Rome. The flight will cost you between €250 and €300 plus the cost to get to and from the airports in each city. The flights are about 2 hours long but, again, you have to consider the time to get to the airport and being there early for your flight. This can easily add 3 hours to the trip. Bus. This appears to be not much cheaper than the options above, it takes longer and is likely less comfortable. 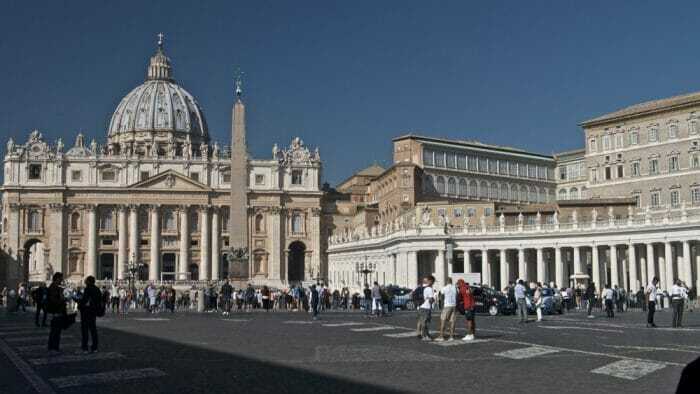 Our city tour focused on the Vatican and ancient Rome, both challenging to see without a tour guide due to the crowds. This is a view of the Coliseum from the Palatine Hill. I went to Rome in 2002 when traveling with my family. I thought I’d done it. I’d seen the major sites, I had them in my mind. Done. Dusted. On to the next destination. But, no. 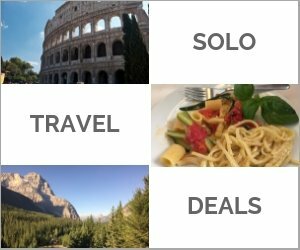 Rome solo is completely different. I fell in love with Rome. My breath was taken away at every turn. It is, indeed, the eternal city for it’s layered in almost 3,000 years of history. This history is shown in its ancient Roman, Romanesque, Renaissance, Baroque, Neoclassical, and even Fascist architecture. 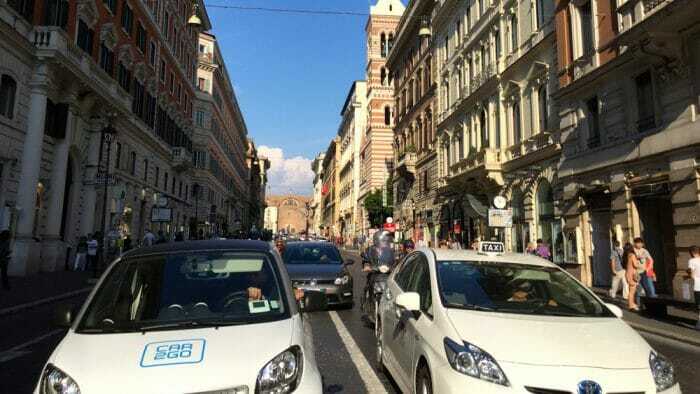 Unlike Paris where there is a uniformity to the city thanks to Napoleon III and his urban planner Georges-Eugene Haussmann’s plan of the late 19th century, in Rome one style of architecture butts up against another in the most surprising ways. 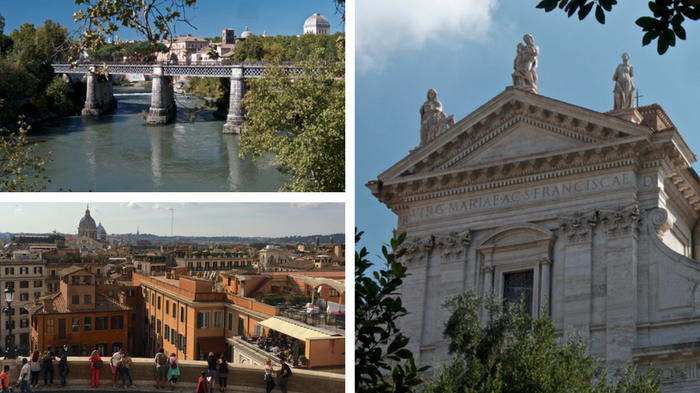 Rome’s social, political, and military history is evident through its buildings, everywhere you look. It’s spectacular. My reaction to this city was visceral. Where I stayed: StarsHotel Metropole is a very central, full-service hotel with spacious rooms that are more like North America than Europe. From this location I walked everywhere and saw all the major sites of the city. If you don’t love walking like I do, this central location means getting around by transit or taxis is cheaper. The restaurant serves both Roman cuisine and a range of international dishes, all prepared with products by Eataly. The breakfast buffet is great. Hotel Domus Praetoria Reader recommended. “This hotel is owned and run by a family of 3 brothers. I have stayed there on 3 separate trips to Italy since 2010. I found the brothers extremely helpful each time I was there, assisting with a couple of small emergencies on the last two visits. Although this hotel is close to the main Termini station in Rome, it is quiet and safe. As a solo mature-aged female I never felt unsafe walking back to the hotel even at night. The reception is staffed 24 hours and you have to buzz to get in from the street. All of the rooms I have stayed in were clean and reasonably roomy, although the ones on the 2nd floor overlooking the street are my favorite. There is a market in the street outside most mornings, but I was never disturbed by noise.” Via Milazzo, 42 Rome Book it here. Colosseum Garden – Retrome Reader recommended. “A small boutique hotel located on a quiet street in a neighborhood only steps from the Coliseum but far enough from the crowds. There are also several places to eat nearby where you will find many locals dining at reasonable prices. Most major attractions in the city are within walking distance and, for things that are farther away, it is located only 2 blocks from a taxi stand and just a few blocks from the subway. Each room is decorated in retro vintage furnishings. They have all been renovated and updated with modern amenities. 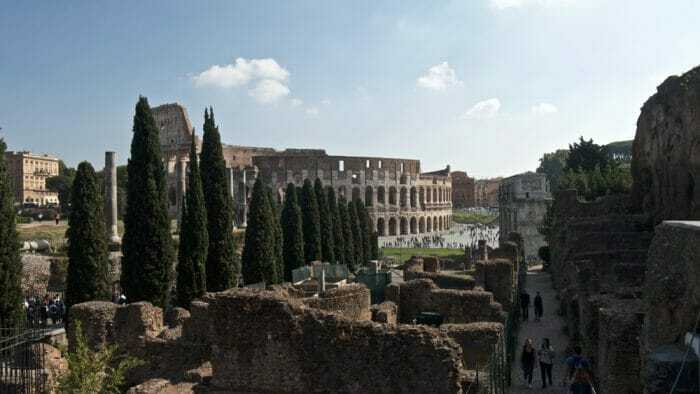 Staying here is almost like staying in your own Roman apartment apartment, which, by the way, they also have available for rent.” Via Marco Aurelio, 47, 00184, Rome. Book it here. First time in Rome? Start with an overview. A Hop-on, Hop-off tour is great if you’re short on time or want to get an overview of the city before you dig into its specifics. Colosseum on a small-group tour. Skip the line and take this tour that includes the amphitheater’s underground chambers, which are off-limits to most of the public each day. 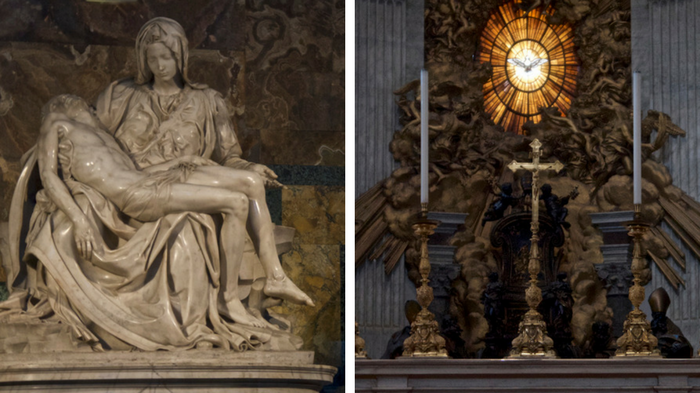 Vatican Museums, Sistine Chapel, and St. Peter’s Basilica. Unless you have the day at your disposal to stand in line, it’s absolutely necessary to buy a Skip the Line ticket for the Vatican. The Trevi Fountain is open to the public at all times, however, it is incredibly busy most of the time. Get there in the very early morning to truly enjoy its beauty. The Pantheon made my eyes well when I first saw it. Construction began on this magnificent structure in 27 BCE. “Almost two thousand years after it was built, the Pantheon’s dome is still the world’s largest unreinforced concrete dome.” It is one of the best preserved buildings from ancient Rome thanks, largely, to the fact that it has been in continuous use. Relax in the Piazza Navona. The square dates back to the end of the 15th century. Now there are places for coffee and gelato, street performers, and shops. Take a food tour. I not only had a great time but I learned a lot finding real Roman food on the Trastevere for Foodies tour by Eating Italy. You can read about the tour here: A Fabulous Trastevere Food Tour. Check out the street art. The Quadraro district of Rome has the MURO Urban Art Museum of Rome, a free, open-air display of murals painted by local and international artists. Street art always has a political edge to it revealing more than the surface of the city ever shows. Learn to cook the Italian way. Take a cooking course. This one is in a 17th-century palazzo overlooking the Piazza Navona where I also took a pizza course. This one is for pasta making and tiramisu. Discover a recovering wine region. I don’t know a lot about wine. In fact, I had never heard of Lazio and a little research told me why. The wines were considered ho hum but they are making a comeback. Learn all about it at this wine tasting. If you have the time, consider a trip to Pompeii. Take two days if you can and pick up a tour to Pompeii, Sorrento, and Capri. I stayed in Sorrento a few years back and can highly recommend a visit to this area. 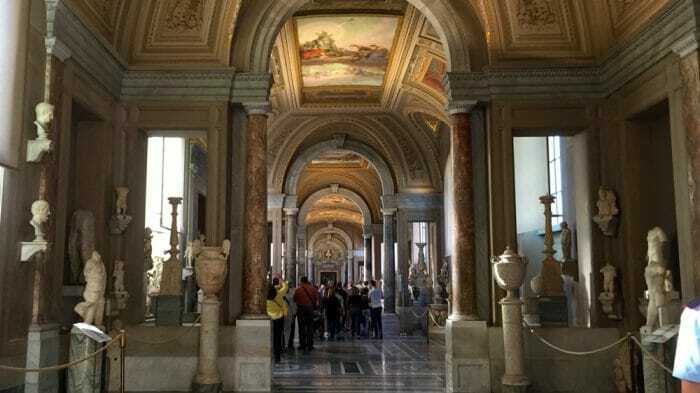 The Vatican Museum. If you’re not going on a tour, it’s highly recommended that you buy a “Skip the Line” ticket. Views of Rome: The Tiber River (upper left), the Santa Francesca Romana church from the 10th Century (right) and the view from the Trinità dei Monti church at the top of the Spanish Steps (left). 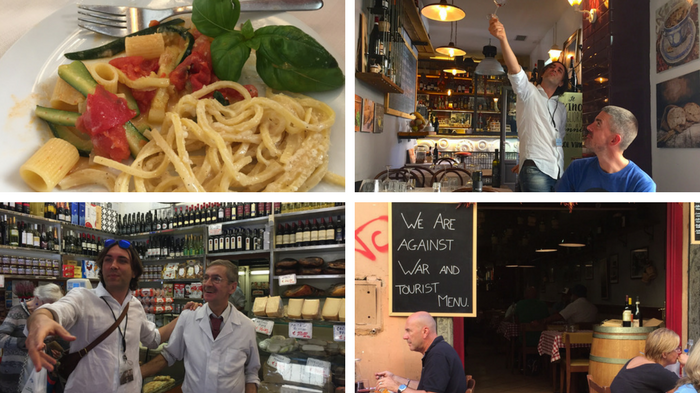 Finding real Roman food on the Trastevere for Foodies tour by Eating Italy. The dynamic fellow looking at the wine was our guide, Luca. 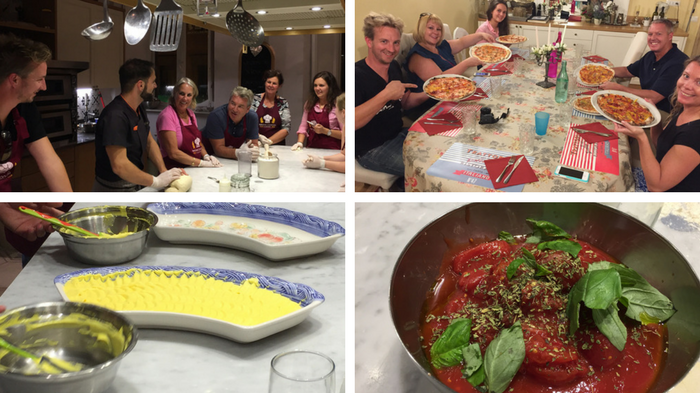 Gelato and Pizza Making class. I’ve always thought that Paris was called the City of Light due to how the streets, monuments, and towers are illuminated at night. It turns out I was half right. It is attributed to the fact that it was one of the first European cities to adopt gas street lighting. Doing so was part of Haussmann’s renovation of Paris between 1853 and 1870, which resulted in that uniformity of architecture that I mentioned above. It is also because of the city’s leading role during the Age of Enlightenment. Where I stayed: Hôtel L’Echiquier Opéra Paris is a Sofitel property on a side street away from the crowds and noise but close to Paris’ highlights. 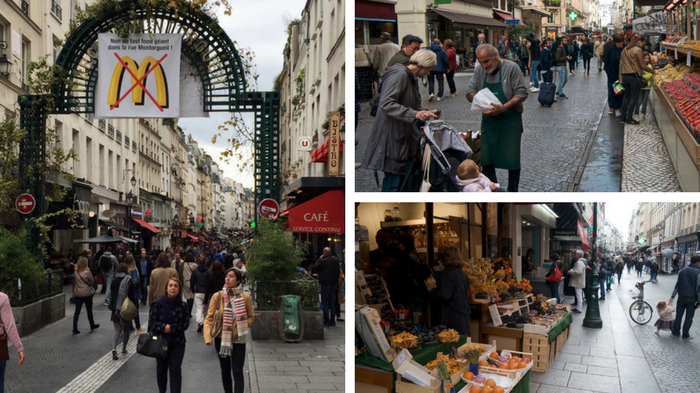 It’s also just a couple of blocks from the bustling Montorgueil quarter where Parisians really live. It’s a full service hotel built in the 1850’s and decorated in a beautiful belle epoque style. It has a birdcage lift going up the center of a circular staircase. It’s a real treat! Book it here. Hotel Amelie Reader recommended “Located in the 7th arrondissement, a mere 10-minute walk from the Eiffel Tower. Surrounded by tons of restaurants, cafes, bars, metro stations and stops. Also, it’s just a short walk to the Musee d’Orsay and the Louvre. They have a fantastic breakfast, buffet-style. Very small hotel but packed with modern amenities in each room, including flat-screen TV, modern bathroom, comfortable bed, and a mini-fridge with some drinks. And there’s a strong Wi-Fi signal in each room.” 5 Rue Amélie, Paris. Book it here. Hotel Esmeralda Reader recommended “This is a small, quirky hotel with a spectacular location – steps from Notre Dame and St. Julien le Pauvre, right on the Seine in the heart of the Left Bank, within walking distance of many of Paris’ historic treasures. Also within easy walking distance of several Metro stations. 4 Rue Saint Julien Le Pauvre, Paris. Book it here. First time in Paris? Start with an overview. A Hop-on, Hop-off tour is great if you’re short on time or want to get an overview of the city before you dig into its specifics. 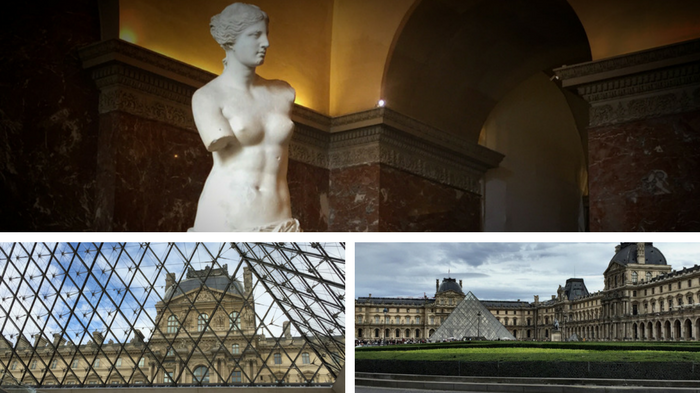 The Louvre, even if you don’t want to see the Mona Lisa. The building itself is a wonder. The Arc de Triomphe. You can walk around it but on my first trip to Paris in 1985 I went to the top (it now costs €9.50 to do so) and I still have a vivid image of seeing Paris, the traffic around the Arc, and the view of the Champs-Elysées from the top. The Eiffel Tower: One of the most recognizable structures in the world. It’s worth viewing it, even from the ground, to put the tower in perspective. Whenever you’re on high ground so that you have a view of the city, have a look for it. It’s likely within sight. 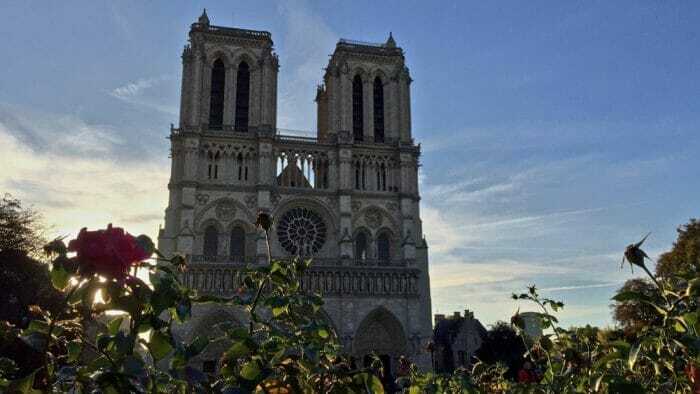 Notre Dame Cathedral, of course. You’ll see a number of highlights of the city in the photos below. Depending on what you want to do, you might want to purchase the Paris City Pass. Enjoy a wine tasting. 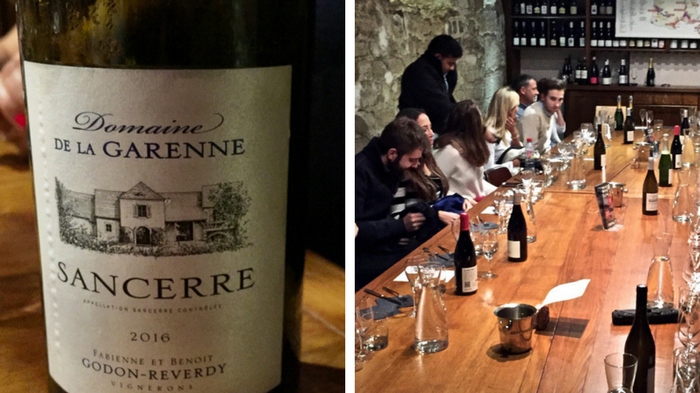 This wine tasting in the cellar of a wine bar in the Montorgueil quarter was good fun and educational. Try the Grand Tour of French Wine experience. Take a perfume workshop. Paris is famous for perfume. 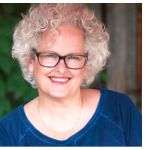 Take a perfume workshop and learn what’s behind the magic. 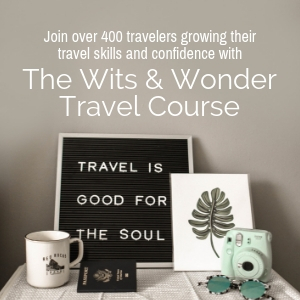 Click here for a list of all the workshops and lessons you can take in Paris. Eat at the home of a local. I had a wonderful experience with VoulezVous Diner. You’ll get more than a meal. You’ll get an evening in a local’s home. Dinner and entertainment and local connections – well worth the price – which is quite reasonable. Read Guest in a Paris Salon. More things to do in Paris. Here’s a link to all Viator standard Paris options. As if I have to tell you, this is the Eiffel Tower. 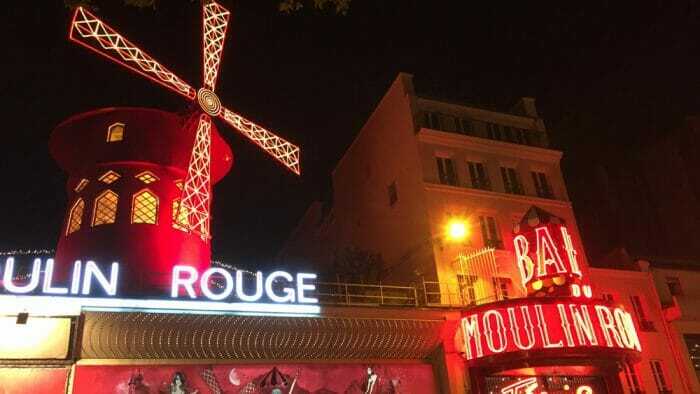 I attended a performance of the Moulin Rouge. It was as I expected. Kitschy, fun, and made for tourists. On one trip to both cities I went with Monograms Travel , a company that is part way between a travel agent and a tour company. They give you an independent experience but relieve you of the tedious aspects of travel. I arrived in Rome first and was met at the airport by a woman with a sign. I’ve always envied those people who get picked up outside arrivals and this time I was one of them. She passed me off to a driver who took me to my hotel, pointing out major sights along the way. At the hotel, I was met by Monograms’ local host. She outlined what activities I had confirmed for the next few days and what she would recommend for my time that was not booked. That evening, there was a welcome reception for Monograms travelers. This is an opportunity for all to learn more about their plans while in the city and ask questions. For solo travelers, it’s a chance to socialize a bit. This is the essence of a Monograms trip, a lot of hand holding and, at the same time, a lot of freedom. I took this trip as a guest of Monograms to experience their un-tour concept. What about the single supplement? Let’s deal with this directly because, as solo travelers, we are all concerned about it. They have a supplement and it’s higher than our usual threshold of 20%. However, there are two things that make me comfortable with this. The level of service is exceptional and very personal so the value is well beyond just a room to yourself. There is also the pick-up and drop-off at the airport, the local host who is available to you at all times, even by phone in the evening, and the planning that is done for you without the need to follow a group around. 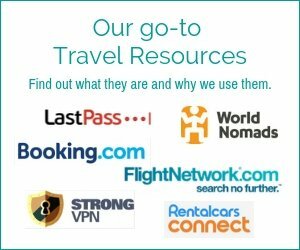 The challenge of independent travel is always in the planning, scheduling, and the transitions and they have this sorted for you. The Monograms experience is luxurious by my standards. They help with the planning. You can avoid all that hunting on booking.com trying to find the right hotel, location, and price; they take care of it for you. 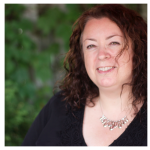 By working with just a few hotels they can exercise buying power and get you more for less. Then there’s also the challenge of choosing the right city tour, wine tasting, or cooking class. They take care of this as well by vetting excursions so you can just choose what you want to do, not what tour company you want to do it with. And then there are the transitions. Pick-ups and drop-offs make those easy. Bottom line: I was impressed. 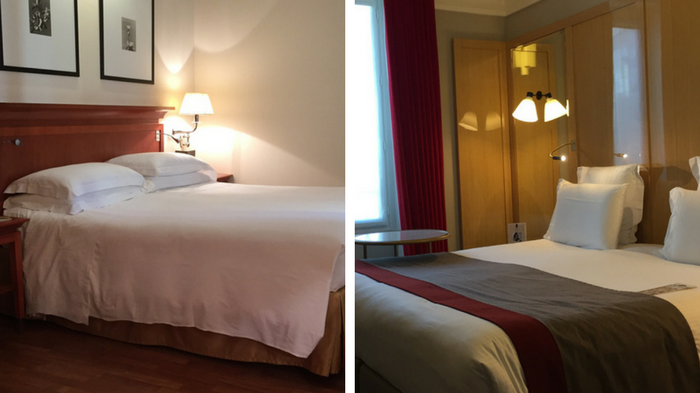 On the right is my room in the Starhotels Metropole where I stayed in Rome and on the left is my room in the Hotel L’Echiquier Opéra in Paris. My trip with Monograms Travel was a project managed by iambassador. 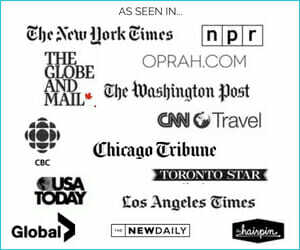 Of course, Solo Traveler maintains full editorial control of the content published on this site.